United Way is focused on helping every child graduate from high school and be ready to succeed in life. 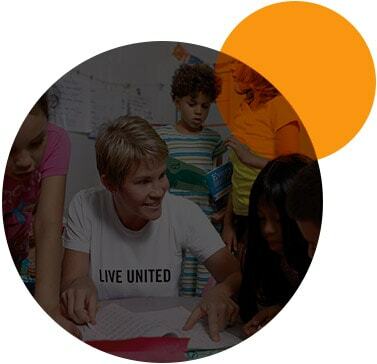 United Way is working with other community leaders and organizations to find lasting solutions that build opportunity for all. We look at the big picture: what resources are lacking or need strengthening, and how we can address those gaps to help kids be able to “read to learn” by the end of third grade, and be on track to graduate. Graduation from high school is a cornerstone to success in life and benefits the whole community. High school graduates earn more and contribute more to their local economies, are more engaged in their communities, and are more likely to raise kids who graduate. We fight for the health, education, and financial stability of every person in every community we serve.